We stock a range of hydroponic grow systems that grow plants indoors without soil. Purchase an off-the-shelf solution with proven results or construct your own system. read our buyers guide below to for help and advice, or get in touch and speak to one of our in-store experts. We stock a huge range of different hydroponic systems that utilise many techniques to grow plants without soil. Choosing the right system can be a daunting task if it’s your first time trying hydroponics, but each systems has pro’s and con’s that could suite your space and style of gardening. Understanding the various characteristics of each system will help narrow down your options. While not strictly hydroponics, using soil, pots and hand-watering is the most simple solution to getting your garden producing. Soil acts as a buffer for the acidity (pH), so the pH of soil will stay constant throughout the cycle of your crop, even if your added nutrient solution is a different pH. You can even automate the watering of soil system to get the best of both worlds. Autopot systems automatically water your plants when they’re dry, without the need for timers, pumps or mains water, using only the potential energy of gravity! Autopots allow you to leave your plants unattended, safe in the knowledge the AQUAValve will give them a proper wet and dry cycle; keeping your plants in peak performance. Autopots can be used with soil or coco coir but not clay balls since hydroton will not wick the nutrient solution from the bottom tray. Dripper systems allow you to set the duration and frequency of feed to match the uptake of the plants in the system. A dripper is inserted in the top of the substrate that drips liquid feed throughout the entire medium. The IWS dripper system uses a control brain to manage the waste runoff that passes through the pots and into the catchment trays, ensuring your plants never sit in used water. The most advanced complete dripper system available, the IWS drippers are mostly used by professionals due to the high investment required. The Flo-Gro uses a dripper ring to ensure the entire medium is moistened each watering, returning the run-off to the reservoir. There’s a variety of sizes of flo-gro so the system can be matched to any type of plant and any size of garden. Wilma is a highly variable system; with a huge range of pot sizes and dimensions of systems, so you’ll find a wilma dripper system to suite your space. With Wilma, you can choose your desired medium as Clay balls, Coco Coir, Perlite and soil can all be used depending on your preferences. Wilma systems are forgiving of mistakes so may be the perfect system if you’re just starting your hydroponic adventure. Deep Water Culture (DWC) is a technique in which the plant’s roots literally sit in deep water. The roots are kept oxygenated with an air pump and airstone that continuously send a column of air through the nutrient solution. In its simplest form, DWC can be bought inexpensively as oxypots or made at home in buckets, with the addition of an air stone, air pump, tubing, a net pot and some clay balls. Both Homemade and Oxypot systems do not have one central reservoir, so testing the pH and EC of the water can be more time consuming than other systems but infections are less likely to spread across plants because each plant is in its own bucket. Oxypots are the perfect entry point into hydroponics as they have a low initial cost with many of the benefits of hydroponics such as quicker growth and higher yields. RDWC systems work on the same technology as DWC systems with the addition of a shared reservoir. This makes taking readings much easier as only one reading of the reservoir will give accurate readings for all pots in the system. RDWC uses less water than DWC since it recirculates and remixes used nutrient solution and only needs to be changed once a week. Ideal for short-duration crops such as tomatoes and cucumbers, NFT systems continuously pump a shallow stream of nutrients through channels and gullies which plants on rockwool cubes sit on. Plants in NFT systems have unparalleled access to nutrients, water and oxygen, providing everything a plant needs for spectacular growth; NFT systems can out-perform most other methods in the right conditions but the plants can quickly wilt if something goes wrong. NFT is a short and squat hydroponic option so it can maximise your growing space, particularly useful in smaller spaces where height is an issue. Flood and Drain works on a simple principle with few components or moving parts so systems using flood and drain are unlikely to fail and are easily fixed if they do. A planter holds the substrate which is periodically flooded with nutrient solution from a separate tank that is lower than the planter. When the pump floods the planter, the roots and substrate are covered in water, when the pump stops the water drains back into the tank under the power of gravity. This action draws fresh air into the rootzone, ensuring the roots have access to water, nutrients and oxygen whenever required, leading to impressively fast growth if all conditions are correct. Aeroponic growing systems spray a fine misted nutrient solution over the roots of plants, so the plants have access to nutrients, water and oxygen whenever required. Only a handful of clay balls are needed for each plant so less growth medium is required than other systems. Due to the availability of water, nutrients and oxygen, the plants in a aeroponic system have unlimited access to the components of fast, trouble free growth. You can also build your own hydroponic system, which you can tailor to your individual needs. We carry a range of fittings, pipework and accessories so you can build a system specifically for your requirements. When building your own system, you can create a more robust system that will still deliver nutrient solution to your plants roots if something in the system fails. Simple changes such as two drippers for each plant will ensure one will still work should one get blocked. You could also install two pumps to reduce the likelihood of system failure which could potentially kill the entire crop. You’ll want to use the same size of pipework throughout your system to maintain pressure levels - ensuring each plant gets the same amount of nutrient and water. We Carry a variety of elbows, straights, filters and fittings in a range of sizes so you can build your perfect system or swap out like for like parts in an existing one. The Topspin Dripper is an extremely versatile component that can be used to optimize or extend most existing systems. If you’re tired of hand-watering and looking for a simple irrigation solution for your plants, the topspin dripper will deliver nutrient solution directly to the top of your plants root, permeating through your medium, easily automating your irrigation. Pumps are essential to any hydroponics system; If your roots get too dry for an extended period, your plants will suffer and could die. Many of our customers keep a replacement pump handy so that if it fails, the gardener can easily switch out the components without any noticeable effect on plant health. We stock a range of different pump sizes which have different volume outputs per hour, so replace a pump with a like-for-like output for best results. If making your own system, you should buy a pump with a higher output because you can always turn it down but if it doesn't supply enough pressure, the water may not be distributed evenly. Air pumps are essential for keeping your water oxygenated. If there’s not enough oxygen in the water, the plants will suffer in some systems. We carry a range of pump sizes that have a varying number of outlets so you should purchase your air pump based on how many air stones you want to drive. Air Stones contain miniature holes that allow pressurised air through, breaking the stream of air into small bubbles. These bubbles rise to the top of the water, mixing the solution on the way. This mixing effect keeps the nutrient mixture fresh and more consistent as all the elements will be mixed, kept in solution and nothing will ‘settle out’. Tanks and reservoirs are an essential component in hydroponic systems as they allow you to mix enough nutrients to feed your plants for an extended period of time. The amount of time you’ll be able to leave your plants depends on the quantity of plants, how much each of them are drinking each day and the size of your reservoir. The amount of nutrient and water a plant will use will vary throughout a cycle, gradually increasing as the plant gets bigger along with it’s requirements. Most recirculating systems require weekly dumps of water, to prevent EC and pH from fluctuating too much. Run to waste systems use more water on the whole than recirculating systems but only require the tank to be topped up with more nutrient solution when it’s running low. We carry a range of flexible and rigid tanks with several volumes available, so you’ll find a tank that's perfect for your size of set-up. 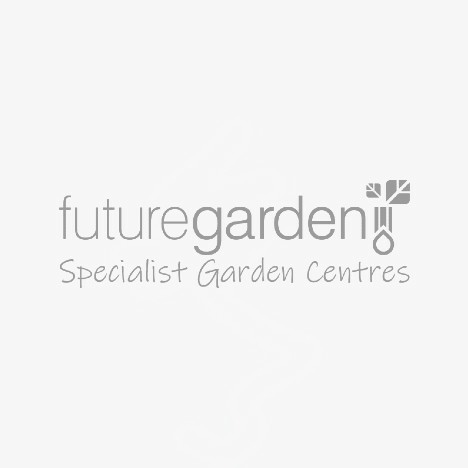 If you’ve got any more questions on the different types of hydroponic systems, email us, call our specialist team on 0800 085 7995 or pop into one of our stores.